Raw shampoo, boar brushes and detox… oh my! Over the past nine months, I’ve discussed the various steps in my journey to natural hair care. Before that, I struggled with various natural brand of hair care as well as DIY hair care, but I never found an option that met my ingredient standards while delivering optimal results. As soon as I discovered the Morrocco Method, a unique line of 100% raw hair care, I fell in love and never looked back. 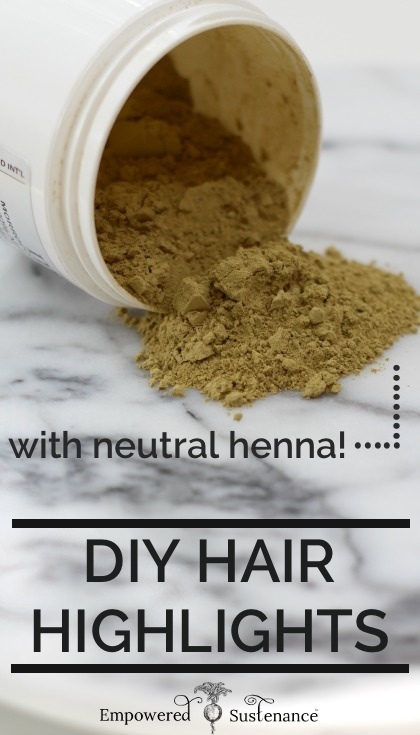 Today, I’m going to discuss another element that I use in my holistic hair routine: neutral henna. Morrocco Method offers a wide range of 100% pure plant hair colors, which you can find here. One of the unique hennas they offer is neutral henna, also called clear henna or colorless henna. Along with the other benefits for hair health, MM Neutral Henna works to DIY Hair Highlights – without any chemicals! Neutral henna will not lighten your hair – henna just can’t do that – but for me and many people, it gives the illusion of highlights. That’s because henna coats the hair shaft, making the hair more reflective. By making hair shinier, it gives the illusion of highlights. MM henna brightens your existing hair color and brings out the natural dimension in your hair. Deep conditions – in one phrase, a henna treatment is a deep conditioning treatment. In contrast to chemical hair dye which permeates the hair, henna coats the entire hair shaft which smoothes and protects the hair. Adds volume – Just like the Zen Detox, MM henna delivers fabulous volume. I find the volumizing results last for about two weeks, but the conditioning/color results last much longer. Non-toxic – Hair dye is notoriously dangerous. Europe is far ahead of the U.S. in addressing the toxins in hair coloring products. In 2007, the European Commission issued a ban on 22 hair dye substances. Unfortunately, even “natural” hair dyes often contain arylamides, which are potential carcinogens (source). 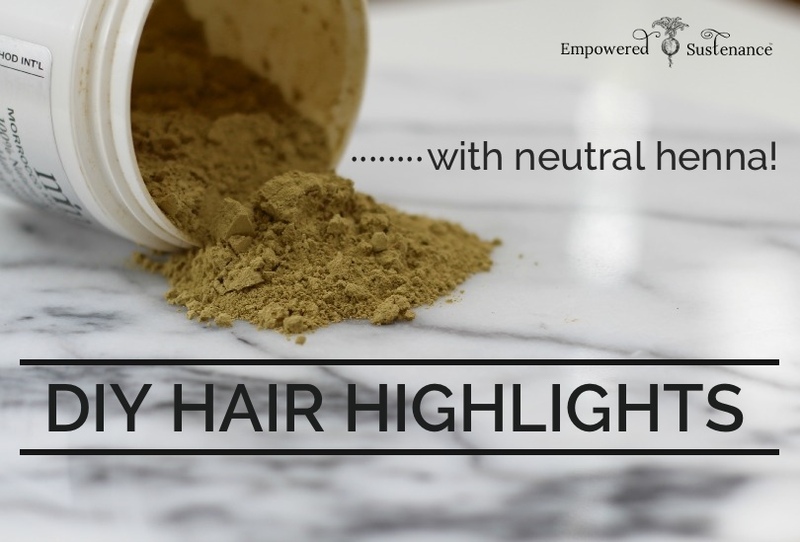 Neutral henna (or colored henna) is a safe, 100% natural alternative to chemical hair dye. There are some concerns that henna dyes contain the toxic ingredient paraphenylenediamine (PPD). This is found in commercial black henna, but not in MM henna. Also, many “henna” products contain chemical dyes or metallic salts, so always check if your henna is pure. MM henna, of course, is pure. Lasting results – Henna coats the hair shaft and will eventually wear off. A henna treatment will generally last around 3 months, although you can fade your henna with hot oil treatments if you choose. If you use henna with Lawsonia inermis, it will lighten blonde/light hair colors. Affordable – MM henna is around $10 a container, and a container has enough for 2 uses or more, depending on your hair length. With a henna treatment lasting 2-3 months, that’s extremely economical. These directions pertain to the neutral (colorless) henna, available here from Morrocco Method. If you are using colored henna, there are a few tweaks you’ll need to make to the below steps. Please read the instructions here if you use colored henna. 2. Mix your henna using a non-metallic (glass/plastic/wood) bowl and spatula. Gradually add water into the henna to create a body lotion consistency. 3. To apply the henna, I strip and stand on an old towel on my bathroom floor. This way makes for the easiest cleanup and I don’t’ need to worry about getting it on any clothes! Part your hair in four sections (or more, if you have thick hair) and work the henna from root to tip, fully saturating the hair. I’ve never had a problem with the henna staining my hairline or skin, so I’m not to precise when I apply it. If you are using colored henna, then you’ll want to follow the directions HERE and be sure to use plastic gloves. 4. Wrap your head with plastic wrap and let the neutral henna develop for 30 minutes but no longer than an hour. It can create a slight yellow tone if left for longer than an hour. 5. Thoroughly rinse your hair with warm water. It takes some time to rinse out, so just be patient. Let your hair air dry. 6. After 24 hours or more, which allows the henna to fully “set,” you can wash and condition your hair as usual. For colored henna treatments, it is recommended to wait 72 hours before washing, as the color continues to develop. I cannot emphasize enough the benefits of using MM shampoos/conditioners in conjunction with the henna, rather than a lathering shampoo. This will preserve and augment the effects of the henna treatment. Trouble-shooting tip: You’ll find that your hair may be more difficult to brush directly after rinsing out the neutral henna. In my experience, this goes away after the next shampoo. Also, my hair feels a bit “chalky” the day following the henna treatment, but this goes away after I shampoo it. I would not recommend doing a henna treatment the day before a special occasion. I would say do the henna a week before you want your hair to be in prime shape. I’m no hair stylist, but I’m pretty sure than any hair professional would tell you that hair dye – be it artificial or henna – doesn’t work like that. Multiple factors including hair color and hair type must be taken into consideration and it is extremely difficult, if not impossible, to exactly match someone else’s hair color. Neutral henna will not change the tone of your hair, it emphasizes your natural color in the most beautiful way by bringing out dimension and shine. Henna color largely depends on your base hair color. It’s like putting a marker to construction paper—if you have yellow-white construction paper and a red marker, the change will be obvious. If you have black construction paper and a red marker, you might see a slight tint change, but it won’t be obvious. If you have yellow-white construction paper and black marker, you might have to go over it a few times to get TRUE black. If you are seeking to change your hair color, Morrocco Method offers a wide variety of colored hennas here. Again, there is not a foolproof formula for achieving a desired hair color with henna. It may take some experimentation to obtain your desired shade. MM colored henna covers grey hair exceptionally well and can also be used to change your existing hair color. Also, you can mix two or more shades of henna to get a desired shade. I have medium brown hair and I’ve used the light brown henna with great results. It seems to bring out the auburn undertones and brighten my hair even more than the neutral henna. I also use a blend of the black and dark brown henna to tint my blond eyebrows to match my hair color. Have you used neutral henna or colored henna before? You should be adding a little bit of lemon juice to your mix! the acidic ingredient makes the henna/cassia actually bind onto your hair strands. your color will last longer and you will only need to refresh on the roots. the detangling properties will last longer too.